Cheers!. How I Met Your Mother cast in McClaren's Pub.. HD Wallpaper and background images in the How I Met Your Mother club tagged: how i met your mother himym cast wallpaper image cheers mclaren's pub beer gang group. 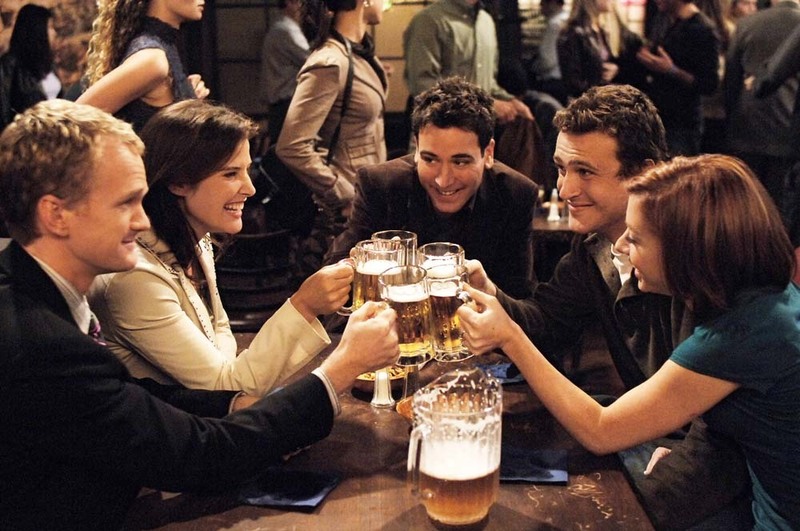 This How I Met Your Mother photo contains brasserie, dinner table, and bistro. There might also be coffee break, tea break, dinner, munich beer, and munchener.